Reaching inland from the Mediterranean coast, Languedoc is a region of vineyards and dusty towns perched on the edge of hillsides. Medieval history is in abundance and Roman remains can be found here and there too. Campsites in Languedoc are peaceful and generally tucked away up in the hills. All sorts of sites are available from five star glamping to more traditional riverside campsites for you to pitch your tent in. Browse our pick of the best Languedoc campsites below and book your next holiday in France today. If you like your campsites to come with a healthy dose of history, check out Domaine de Pradines. Well organised, riverside camping between the granite mountains of Cévennes National Park with pitches right beside the Tarn. A camping nirvana for kids right on the Mediterranean coast. 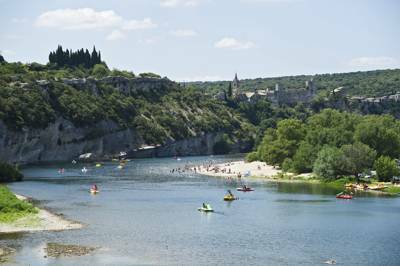 Family-friendly camping on the banks of the Ardèche, with pitches scattered among shady birch trees. Relaxed riverside camping and wild swimming in the beautiful Cévennes mountains. There's something in the water at Camping Goudal in the South of France, a lush, homely campsite in the Languedoc hills with a natural swimming lake and an informal restaurant. 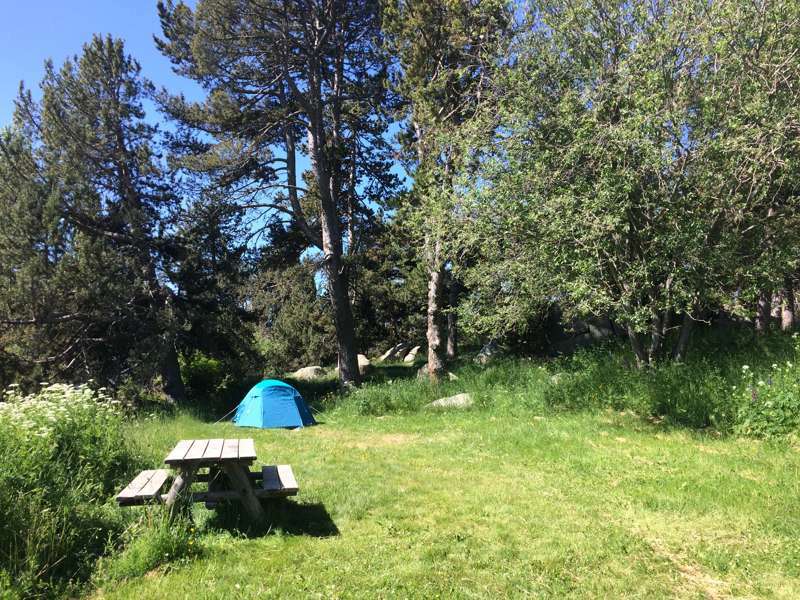 Spacious and peaceful eco-camping in the Parc National des Cévennes. Organic living and river swimming in France’s sultry and sun-baked Languedoc-Roussillon region. Eco-camping with a foodie twist. Luxurious accommodation, fantastic food, beautiful scenery – this isn’t a campsite it’s a sublime, alfresco hotel. The remote country location provides the ultimate escape, but the quality of the accommodation is excellent and Polly’s 5-course dinner seals the deal. 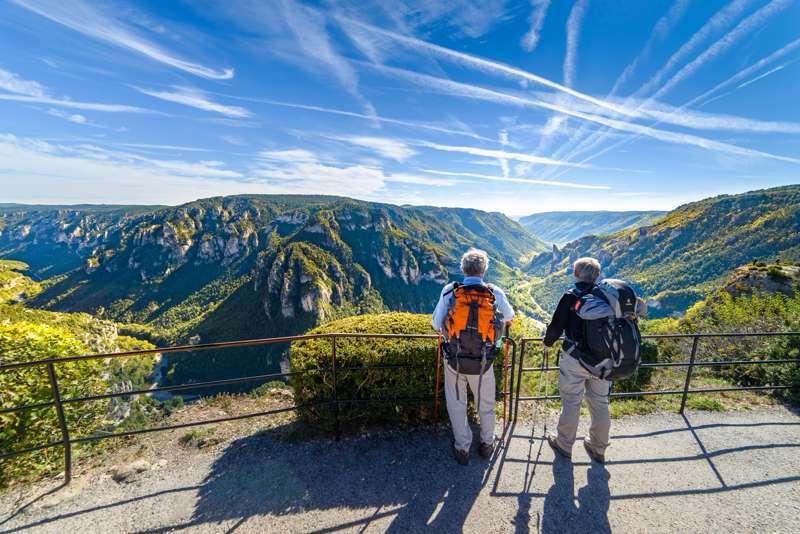 Whether it's the woods of Cévennes National Park or the banks of the River Rhone, discover the best places to pitch your tent or park up your campervan with this hand-picked collection of truly exceptional campsites in the Gard region of France. From Languedoc Natural Park in the north of Hérault to the sandy, sunny coastline in the south of the department that offers some of the best beaches in all of France, discover the best places to pitch your tent or park your campervan with this hand-picked collection of truly exceptional campsites, all chosen by the travel experts at Cool Camping. From the Tarn Valley and the Cévennes National Park in the south of Lozère, to the open, rural countryside of the north of the department, discover the best campsites to pull up the cmapervan or pitch your family tent with this collection of hand-picked places from the travel experts at Cool Camping. If you're looking for a campsite in the heart of the Pyrenees mountain range this collection of incredible places to pitch your tent or park your campervan showcases the highs of the Pyrenean camping world, with every campsite specially selected by the Cool Camping experts as one of the very best places to camp in the Pyrénées-Orientales region of France. 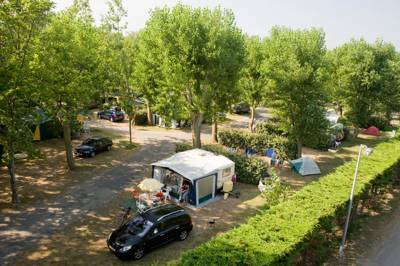 Languedoc at Campsites in Languedoc-Roussillon, Heading to Languedoc for a camping holiday? 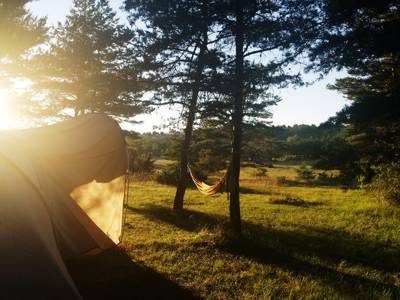 Check out our collection of the best campsites in the area. Whether it’s pre-pitched tents, dog-friendly campsites, or eco-camping you’re after, we’ve got a campsite for you.